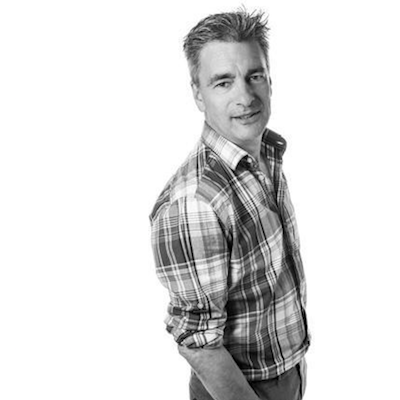 Gerard Charles, who was until recently the director of artistic operations at Joffrey Ballet in Chicago, will step into the role of artistic director at The Royal Academy of Dance (RAD) on Monday, 15 October. He will be responsible for providing artistic leadership, creativity and expertise to all areas of the Academy’s work, maintaining its artistic integrity and leading on the development of its artistic, education and community initiatives on a global scale. SPOTLIGHT: USA, a platform of American dance in Bulgaria, will soon feature U.S. dance companies in performances in Plovdiv, Bulgaria. 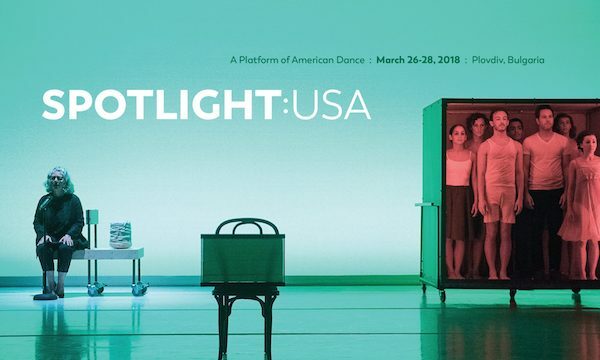 From March 26-28, SPOTLIGHT will introduce Dance Heginbotham, Jonah Bokaer Choreography, CONTRA-TIEMPO and other artists to international audiences. 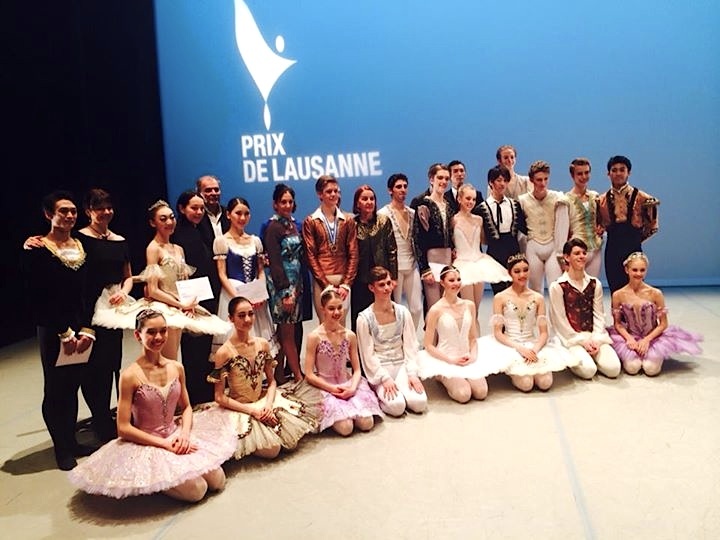 A large audience attended the Prix de Lausanne Finals on Saturday, February 3, both at the Théâtre de Beaulieu in Switzerland and online. Eight young dancers were awarded a scholarship allowing them to enter one of the 72 partner schools or companies of the Prix de Lausanne. Of these, one was American - Aviva Gelfer-Mundl of V&T Classical Ballet & Dance Academy. After four days of intensive work, 21 candidates have been qualified for the Finals of the 2018 Prix de Lausanne, a prestigious international competition for young dancers taking place in Switzerland. They are from 10 different countries and the most represented is the United States with five candidates, and then China with four candidates. Of the 11 Australians originally competing, none made it to Finals. World Dance Movement (WDM) recently hosted Royal Caribbean Productions Auditions at WDM Spain, which was held at the beautiful Institute of the Arts in Barcelona. 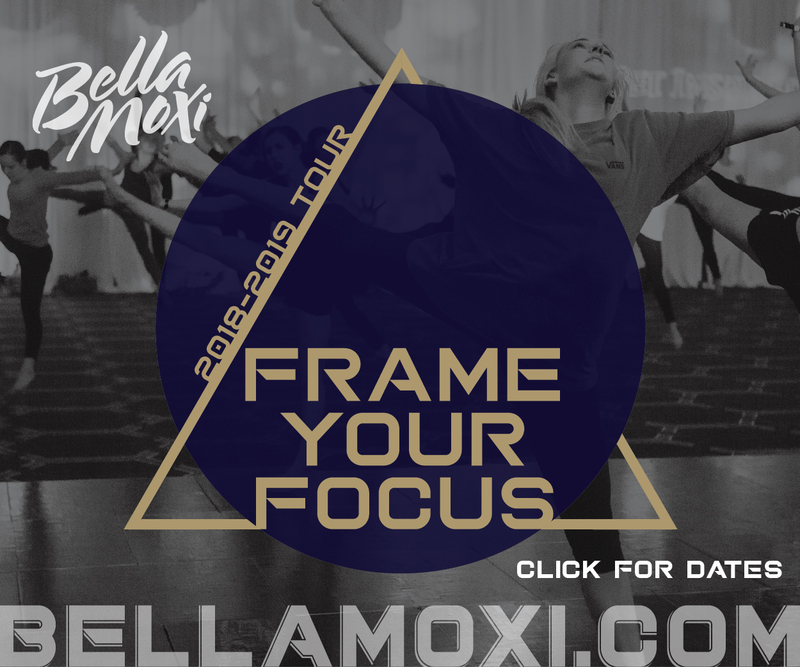 Next, auditions for this cruise line will be presented at WDM Italy on July 23. Modern dancers are invited to join Lori Belilove for an inspiring 10-day residency at The Isadora & Raymond Duncan Dance Research Center in Athens, Greece this July. As Greek art, mythology and philosophy greatly influenced and inspired modern dance pioneer Isadora Duncan, Greece is the perfect place for dancers to study her technique with morning classes and evening choreographic workshops. M&T inMotion was founded by Australian choreographer Tim Podesta and star dancer Mara Galeazzi after they first collaborated in 2015. These innovative and creative minds have now been busy working on various projects, some of which will be presented in the U.K. in June and July. 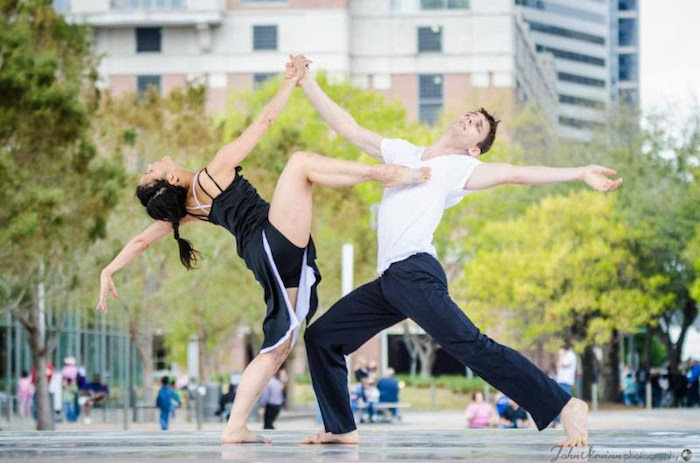 Houston-based Ad Deum Dance Company, directed by Founder Randall Flinn, is preparing for a busy summer. Beginning in June, the organization will present concerts in its home city, host its summer intensive, travel to a teaching conference, hold company auditions, tour to Europe for outreach activities and visit cities along the eastern seaboard. The cross-pollination in ballet between Russia and Italy has a long, fascinating history, and by bringing the excellence of the Bolshoi Ballet Academy to Italy today, Russian Ballet International is rekindling an exciting exchange that has roots in the early days of the Academy. Just a few days after Gauthier Dance in Germany celebrates its first decade with the anniversary production BIG FAT TEN, the company will leave to tour North America. The tour starts in the Canadian capital Ottawa before taking to New York City. The company hopes to conquer the Big Apple with seven shows of Marco Goecke's award-winning NIJINSKI at The Joyce Theater in Manhattan. Lauren Hunter, a 15-year-old from California, was named one of the eight prizewinners of the 2017 Prix de Lausanne International Ballet Competition over the weekend. Along with seven other competitors, she was awarded a scholarship that will allow her to choose among the 68 prestigious partner schools and companies of the competition. After four days of intensive classes, 20 candidates of the 2017 Prix de Lausanne International Ballet Competition in Switzerland have qualified for the Finals. Of them, one represents the USA – 15-year-old Lauren Hunter. In 2015, the Paris Opera Ballet launched a new digital platform entitled “3e Scène,” meaning “the third stage.” The project promotes new work by choreographers, composers, directors, visual artists, filmmakers and writers on the company’s website. 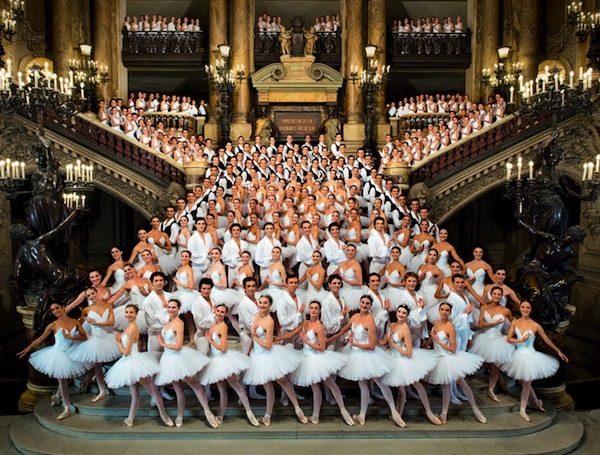 Its latest film, À bout portés, features close-ups of 35 young student dancers at the Paris Opera Ballet. Sky, one of Europe’s leading entertainment companies, recently partnered with the English National Ballet to offer audiences a ground-breaking virtual reality piece inspired by Akram Khan’s Giselle. By combining a mixture of cutting-edge technology, new choreography and the world-class talents of Tamara Rojo, Giselle VR will give audiences the opportunity to experience ballet in an entirely different way. On Friday, June 24, Darcey Bussell CBE, in her capacity as President of the Royal Academy of Dance, escorted Sir Matthew Bourne to Buckingham Palace for an Audience with Her Majesty The Queen. 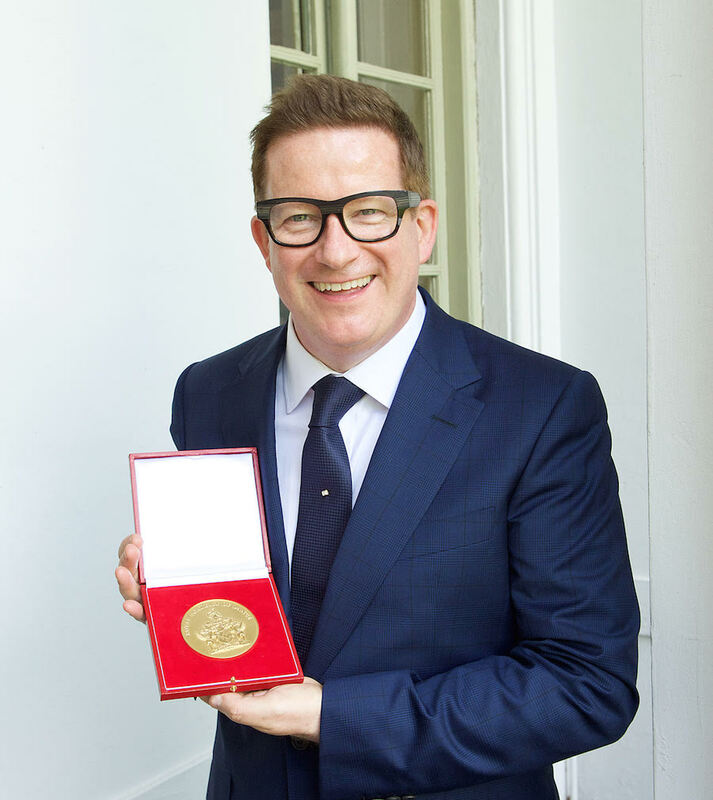 As Patron of the Royal Academy of Dance, The Queen presented the recently-knighted Sir Matthew Bourne with the Academy’s Queen Elizabeth II Coronation (QEII) Award, accepted internationally as one of the most coveted honours in the world of dance. 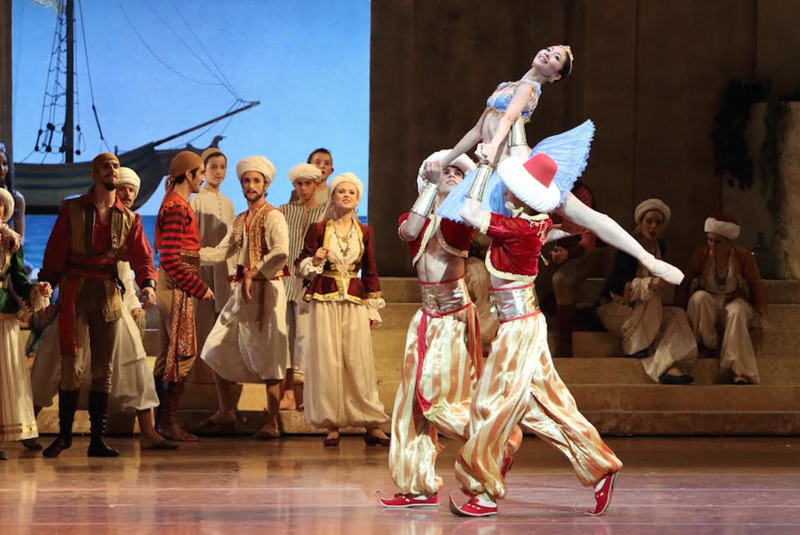 Leading ballet company Bayerisches Staatsballett in Munich, Germany will broadcast its performance of Le Corsaire worldwide live on Sunday, June 12 starting at 3pm (C.E.T./ Berlin.) 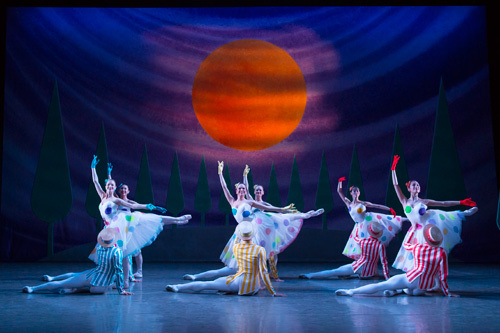 This is the company’s only live broadcasting in the current 2015-16 season. 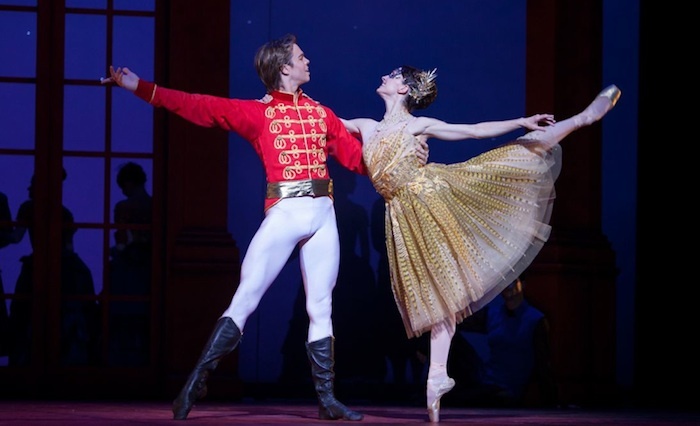 The Australian Ballet has confirmed its next international tour will be to London, from July 13-23. Marking the company’s 25th tour abroad, it will present two of its signature works – a return season of Graeme Murphy’s highly acclaimed Swan Lake and Alexei Ratmasnky’s Cinderella. Four years in the making, Shaun Parker & Company is a small thriving dance company based in Sydney at The Seymour Centre. Its currently preparing for a European tour to Germany, Stockholm and Luxembourg. It was recently announced as a finalist in the NSW Premiers Export Awards, which will be announced on Wednesday, October 28. 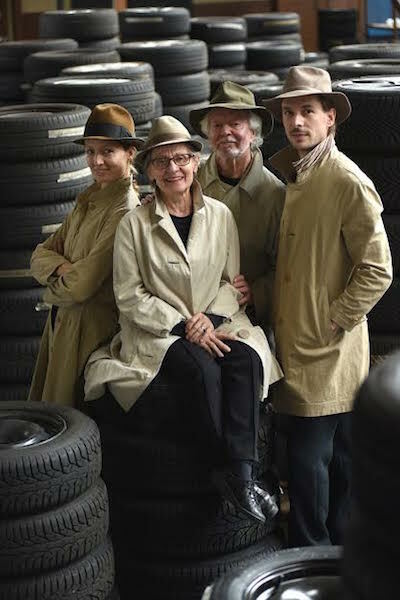 Theaterhaus Stuttgart, a major arts organization in Germany, will premiere an interesting work about aging as a dancer by the great Egon Madson this autumn. Titled Greyhounds, it will take a fresh look at dance, an art form that is usually only associated with youthfulness but really is a lifelong story. It will feature choreographies by Marco Goecke, Amos Ben-Tal, John Neumeier, Mauro Bigonzetti and Eric Gauthier. Russell Maliphant will lead a full-day dance workshop at Danceworks Studios in London on Saturday, October 31. Recognised as one of the great choreographers of our time, Maliphant’s work is characterised by a unique approach to the relationship between movement, light and music. 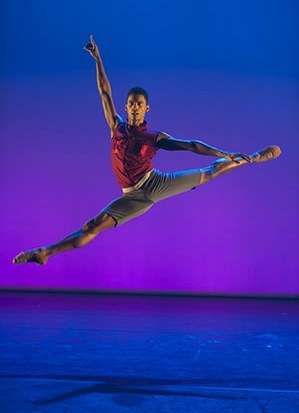 He runs his own company and is an associate artist of Sadler’s Wells in London. Sydney Dance Company is maintaining a busy schedule of performances this spring! Right now the troupe is presenting Triptych at Roslyn Packer Theatre, Walsh Bay. Next up, the ensemble joins another one of Australia’s greatest ensembles, the Australian Chamber Orchestra. These two organisations will come together on Sunday, October 25 for one unmissable performance, Illuminated. This show will then tour to Asia before SDC heads to Germany. German contemporary dance company Gauthier Dance has dedicated the whole month of November to Infinity. The name of the mixed bill featuring eight choreographies refers to the mathematical symbol of infinity and shows the virtually infinite potential of contemporary dance. Due to the COLOURS festival in June and July, the production has not been on the schedule very often. The company is going to make up for this in November with 14 shows locally and on tour. Carnival hosts auditions in NY and the U.K.
Carnival Cruise Lines is currently looking for dancers, singers and musicians to cast for its on-board entertainment. Carnival Entertainment will audition for Singers Who Dance and Dancers Who Sing in New York in October and in London and Manchester in November. Continuing its commitment to taking world-class ballet to audiences across the country, this autumn English National Ballet presents three critically acclaimed, award-winning productions on its tour across England. 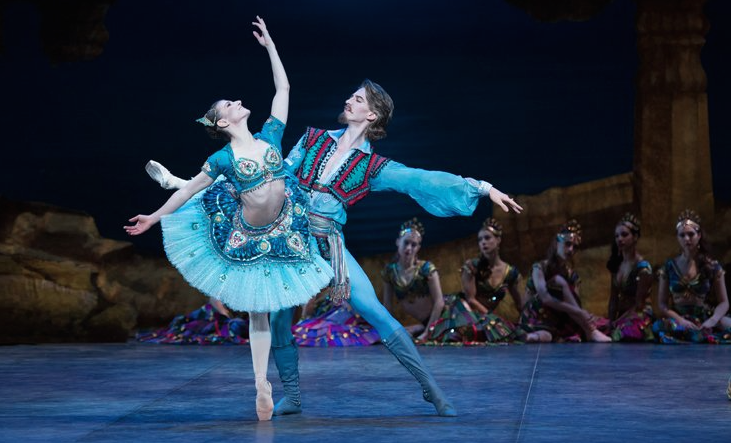 Rudolf Nureyev’s Romeo & Juliet, triple bill Lest We Forget and Robert Robson Award-winning Le Corsaire will be presented. On October 12-17, Rambert will fling open the doors of its award-winning building on London’s south bank and give you the chance to find out what goes on behind the scenes at the home of Britain’s national dance company. 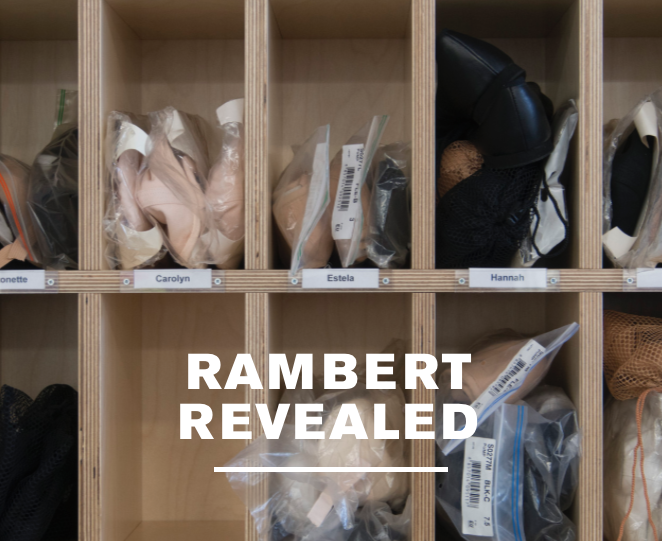 “Rambert Revealed” presents a week of events, talks, workshops and classes lifting the lid on Rambert’s creative processes and the daily life of its dancers, choreographers and musicians. This autumn, Breakin’ Convention returns to London to once again present its international festival of hip-hop dance. This year’s line-up includes: a pioneering Wildcard series by Botis Seva, the artistic director of Far From The Norm; the six-dancer work Borderline, created by genre-splicing duo Sébastien Ramirez and Honji Wang; and ZooNation’s hit show Into the Hoods with a fresh spin. The U.K.’s favourite Strictly Come Dancing stars present their ultimate farewell show this fall fresh from their sell-out hit shows Midnight Tango and Dance ’Til Dawn. Dancing duo Vincent Simone and Flavia Cacace have created The Last Tango, set to premiere October 5-10 at Richmond Theatre outside of London. 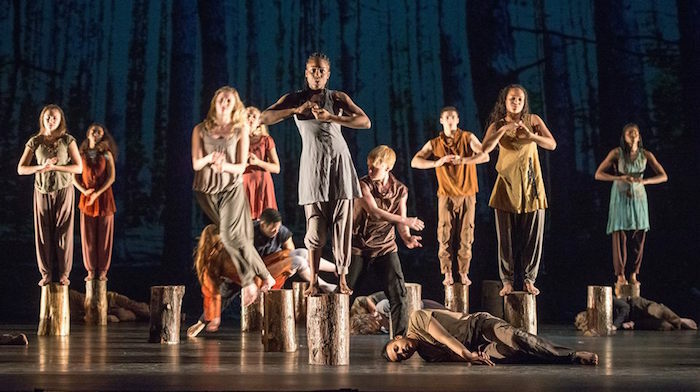 Apex Rising is a brand-new annual two-day festival at Sadler’s Wells Theatre in London. For the first time on September 4–5, it will present the National Youth Dance Company (NYDC) and guests performing works created especially for them by leading choreographers. In two contrasting programmes, Apex Rising will capture the power young dancers have in shaping the future of dance. The London Russian Ballet School, which specializes in teaching the Russian ballet method, will present an “Evening of Contemporary and Classical Ballet” on November 9-17, first in London at Cadogan Hall, then in Croydon at Fairfield Halls, and finally back in London at New Wimbledon Theatre. 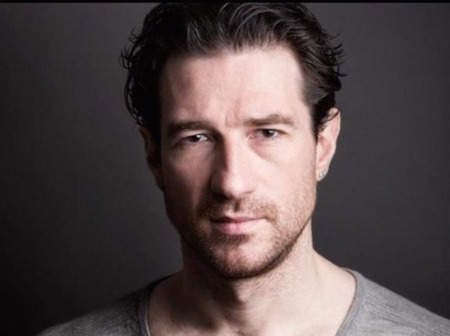 Professional dancer Jonathan Ollivier has tragically died in a motorbike crash. Reports from BBC News and The Guardian reveal that the 38-year-old died on Sunday only hours before he was due to perform in the final show of Matthew Bourne's production of The Car Man at Sadler's Wells Theatre in London. 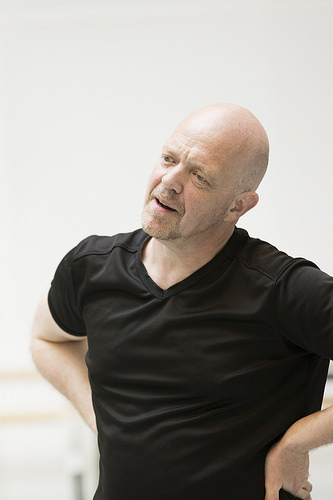 London-based Danish choreographer Kim Brandstrup is returning to The Royal Danish Ballet to create his second evening-length work for the company. It will celebrate the poetry of Denmark’s foremost contemporary poet Søren Ulrik Thomsen. The work, named Rystet Spejl, will be premiered in Copenhagen on May 28, 2016. 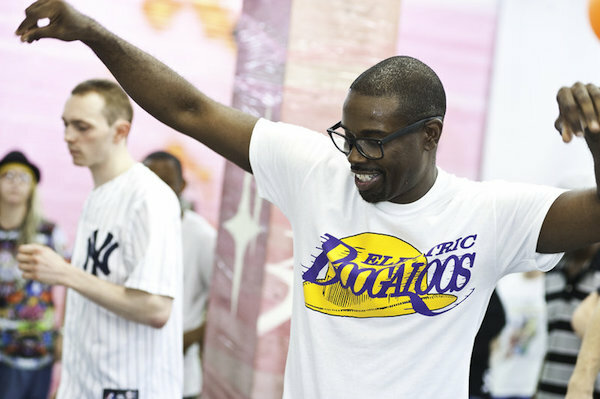 American dancer Popin’ Pete returns to London for the third year to offer his Pop Shop, a first-class cultural takeover teaching his original popping style. Pete, a first generation member of the U.S. street crew Electric Boogaloos, is known for his roles in the iconic dance movie Breakin’, Michael Jackson’s “Thriller” music video and Chris Brown’s “Yeah 3x” music video. Dance Power 2015 is set for Sunday, October 11 at 7 p.m. at London’s beautiful Theatre Royal on Drury Lane. An exciting and fast-moving show full of stars and dance legends, Dance Power is a special event aimed at raising vital funds for the important work of the British Red Cross. The dancers performing represent countries where the Red Cross carries out its life-saving humanitarian work. Award-winning choreographer and dancer Akram Khan has announced the creation of his brand new, full-length production Until the Lions, to be performed in the incredible 360° setting of London’s Roundhouse. A revisiting of one story of the epic Mahabharata, Until the Lions will have its world premiere on January 12, 2016, and will see Khan make his debut on the Roundhouse stage. 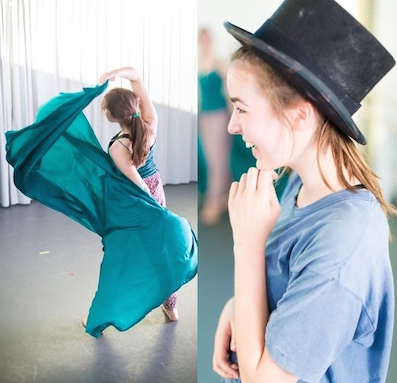 Rambert, one of Britain's leading national dance companies and owner of a state-of-the-art facility on London’s South Bank, is launching a major new choreography initiative for secondary schools and colleges this 2015-16 academic year. Applications are due by Sept. 4. Canadian contemporary dance powerhouse Les Ballets Jazz de Montréal (BJM) is heading to the Mediterranean for two weeks this month. Beginning with two performances at the Teatro Romano in Verona, Italy, the dancers will then present a show in Montauban, France before heading to Spain for three evenings before moving on to Sisteron in southern France. After moving audiences and critics alike at its premiere in 2014, English National Ballet’s poignant reflection on the First World War, Lest We Forget, returns to London this autumn at Sadler’s Wells from Tuesday, September 8 to Saturday, September 12. Ballet Folklórico de Mexico tours to U.K.
Viewed as a national treasure in their homeland, Amalia Hernandez’s Ballet Folklórico de Mexico will tour to the U.K. for the first time in more than 20 years as part of the Year of Mexico in the U.K. Theatergoers can attend performances at London’s Coliseum from Wednesday, July 22. 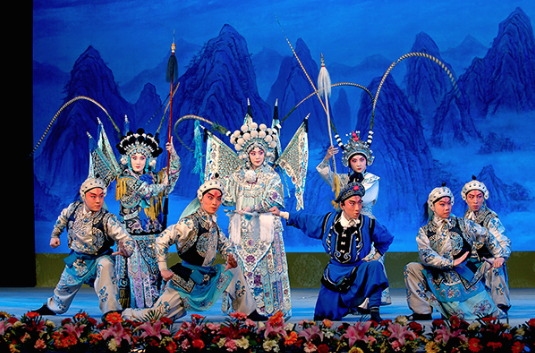 Ten years after its last visit to the U.K. in 2005, the China National Peking Opera Company will return to the U.K. this winter from November 13-22. The company will tour to both the Liverpool Echo Arena Auditorium and London’s Sadler’s Wells. On its tour, the company will be performing two masterpieces: Warrior Women of Yang and the full-length European premiere of Farewell My Concubine. Polish National Ballet coming to NYC and D.C. The internationally celebrated Polish National Ballet, under the leadership of Director and Choreographer Krzysztof Pastor, will tour to The Joyce Theater in New York City on June 16-21 and then to The Kennedy Center in D.C. on June 23-24. The Warsaw-based company will perform Pastor's Adagio & Scherzo and Moving Rooms and Emanuel Gat's Rite of Spring. Melissa Hamilton, renowned first soloist of London’s Royal Ballet, will have a leave of absence for the 2015-16 season to join Dresden’s Semperoper Ballett as a principal dancer from January 1, 2016. Initially, Hamilton will appear as a guest artist with Semperoper Ballett, dancing the title role in Sir Kenneth Macmillan’s Manon for the company’s production in November 2015. In London, this summer’s hot dance ticket will be the Ardani 25 Dance Gala at the Coliseum on Friday and Saturday, July 17 and 18, as presented by producer and impresario Sergei Danilian of Ardani Artists. 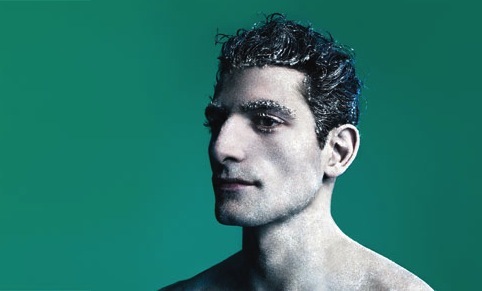 The evening features an all-star line-up including Natalia Osipova, Edward Watson, Ivan Vasiliev, Marcelo Gomes, Denis Matvienko, Joaquín De Luz and Friedemann Vogel in three exciting and diverse contemporary pieces. The English National Ballet School (ENBS) will host its 2015 Choreographic Competition on Tuesday, May 19 at 7 p.m. It was recently announced that Arlene Phillips CBE will be the head judge. Dance fans across the world can live stream the competition online. 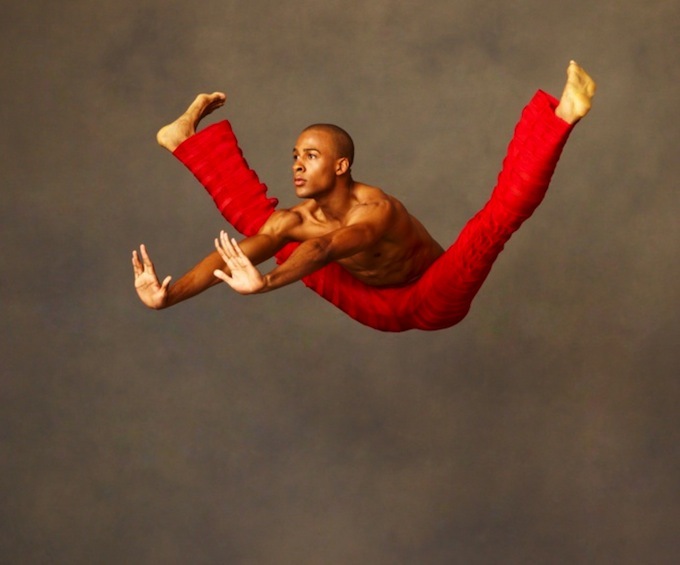 After wrapping up its 18-city coast-to-coast national tour on Mother’s Day weekend from May 8-10 at the New Jersey Performing Arts Center in Newark, Alvin Ailey American Dance Theater will return home to New York City to prepare for its summer season at Lincoln Center, as well as its upcoming international tours to Paris and South Africa. 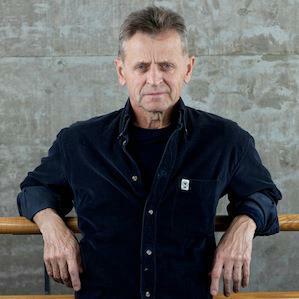 The New York Times reported this week that ballet icon Mikhail Baryshnikov will star in a new solo work that is set to premiere this fall in the Baltic region of Northern Europe and then will tour internationally next year, even coming to the United States. The theater work will be based on the poems of the late Joseph Brodsky, a friend of Baryshnikov's until his death. 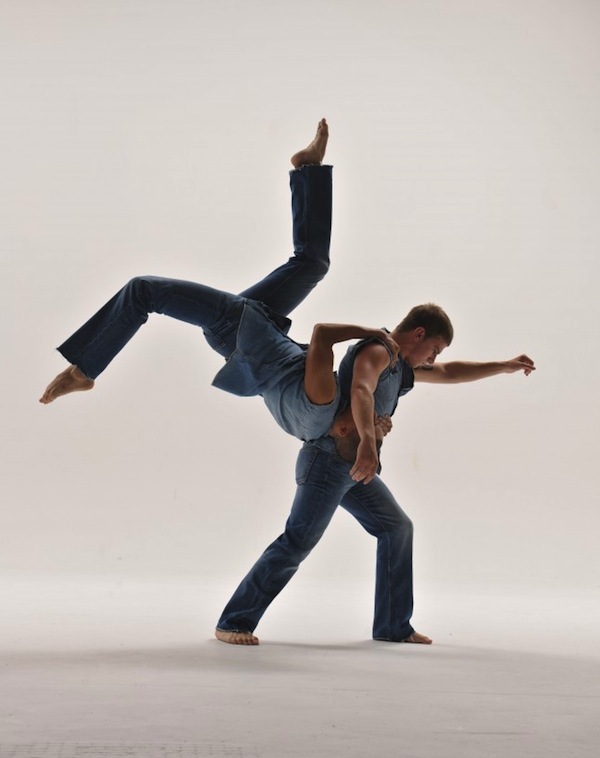 Dancer and choreographer Adam H. Weinert, an alumnus of The School at Jacob’s Pillow, brings the works of legendary modern dance pioneer and Jacob’s Pillow founder Ted Shawn to the Tate Modern museum in London on May 13-16. Initially seen at MoMA in New York, 20 Dancers of the XXth Century is a living dance archive, including Weinert’s remounted solo works by Shawn along with 19 different performers’ interpretations of works by other influential choreographers. The U.K.’s touring dance convention Can You Dance? (CYD) is currently preparing to launch its new season. It will host events in Kent, Norwich, Newcastle, Nottingham and Leeds beginning April 26. 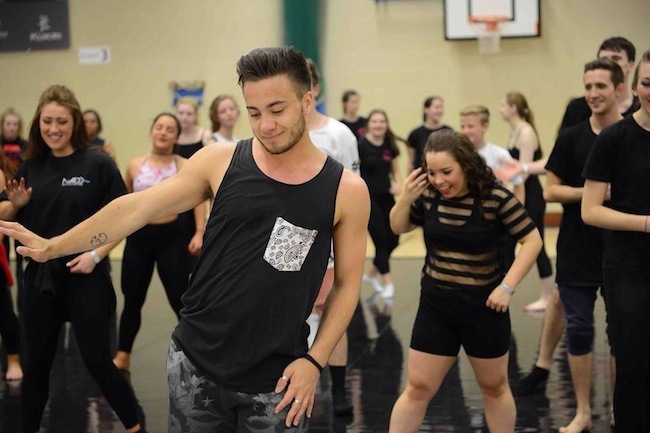 Led by European dance stars Matt Flint and Tom Shilcock, CYD offers young dancers a chance to showcase, take masterclasses and enjoy a dance exhibition. Based on the Upper West Side in New York, Amalgamate Dance Company is collaborating this summer with fellow NY company DAMAGEDANCE, as well as Scuola Italia and Passi di Danza, to offer dancers a once-in-a-lifetime experience in Italy. 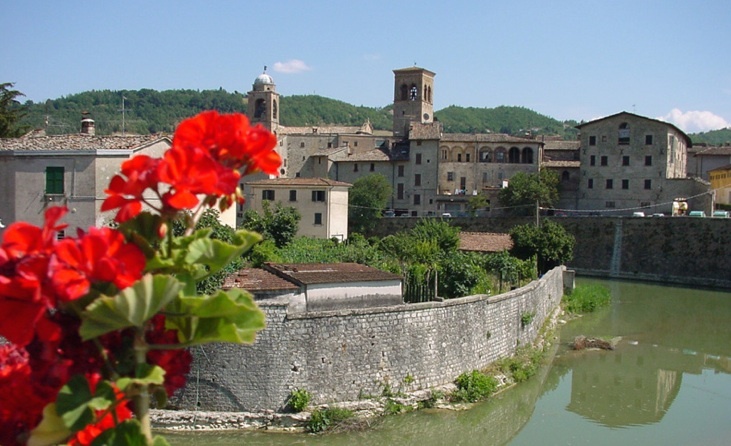 With BREAK OUT, dancers are invited to train, perform and expand themselves from August 10-22 in Sant'Angelo in Vado, a city east of Florence. The 13th Movimentos Festival, set for April 10-May 17 in Wolfsburg, Germany, will present a program that addresses the theme of peace in its many different facets. 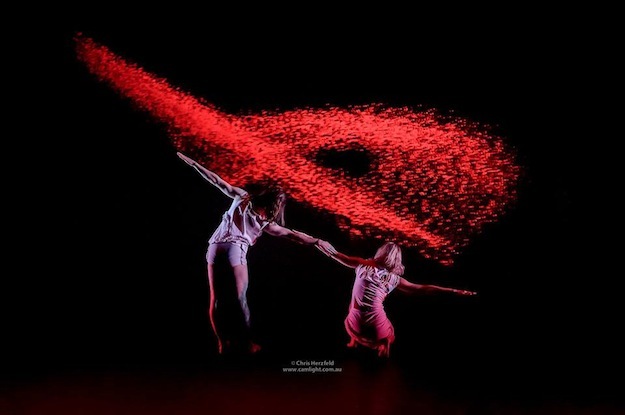 Dance performances include Kibbutz Contemporary Dance Company of Israel, the Cloud Gate Dance Theatre of Taiwan and the Movimentos Academy as led by choreographer Daniel Martins. 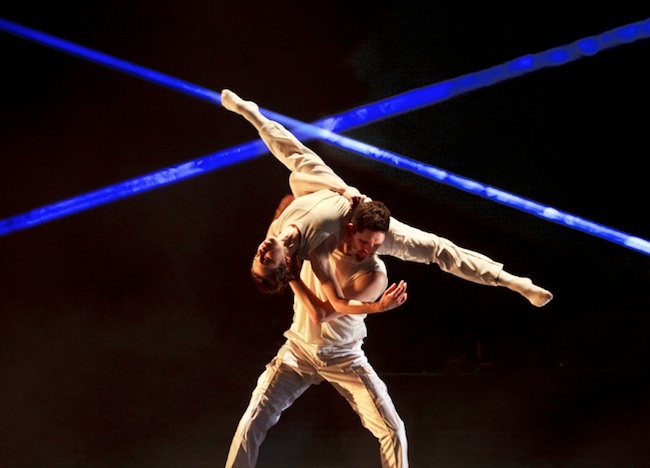 Australian Dance Theatre (ADT) has landed in France for another European tour. 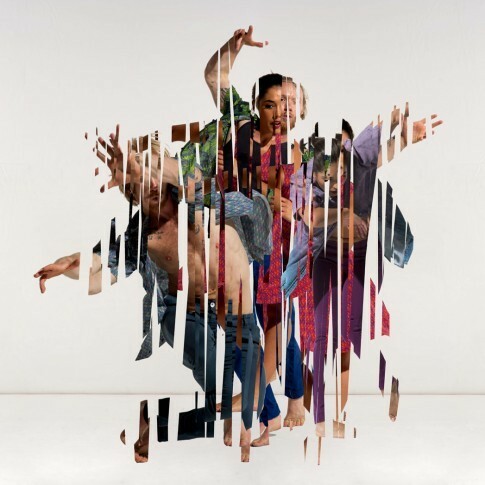 The company is presenting the European premiere of Artistic Director Garry Stewart’s Multiverse, which debuted last July at the Adelaide Festival Centre’s Space Theatre. 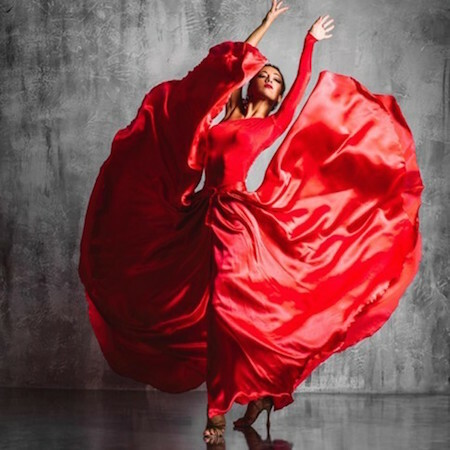 Compañía Nacional de Danza (CND) of Spain will present the world premiere of Swedish choreographer Johan Inger’s all-new Carmen on April 9–19 at the Teatro de la Zarzuela in Madrid. The production will feature music by Rodion Shchedrin and Georges Bizet, with additional original music contributed by Marc Alvarez. In its eighth season as the dance company of Theaterhaus Stuttgart in Germany, Eric Gauthier’s Gauthier Dance will present its first mixed bill this spring, appropriately featuring eight pieces. The program, titled Infinity, features works by Johan Inger, Nanine Linning, Cayetano Soto, Alejandro Cerrudo, Po-Cheng Tsai, Charles Moulton, Alexander Ekman and Hans van Manen. International Ballet Institute New York has announced its first summer intensive study abroad in Paris, set for June 28-July 12, 2015. Illustrious teachers from the highest ranks of the Paris Opera Ballet and Les Grands Ballets Canadiens de Montreal will teach ballet technique, pointe, variations and conditioning to a select group of students from the United States and abroad. Auditions begin this month. The Finnish National Ballet will present Patrice Bart’s Don Quixote on March 21-April 10 at its home theater in Helsinki, Finland. Patrice Bart, a former principal dancer at Paris Opera Ballet and longtime ballet master, originally set his version of Don Quixote on the company in 1995. Twenty years later, the major classical ballet will be revived, transporting the audience from wintry Finland to sunny Spain. Brendan Cole, star of the British television show Strictly Come Dancing, is currently leading his brand new theatre show A Night To Remember on tour across the U.K. and Ireland through the end of March. After kicking off on January 27 in Crawley, A Night To Remember is in the thick of its 48-date tour presenting a cast of 14 musicians and eight professional dancers. Audiences can expect to see many Latin and Ballroom champions. 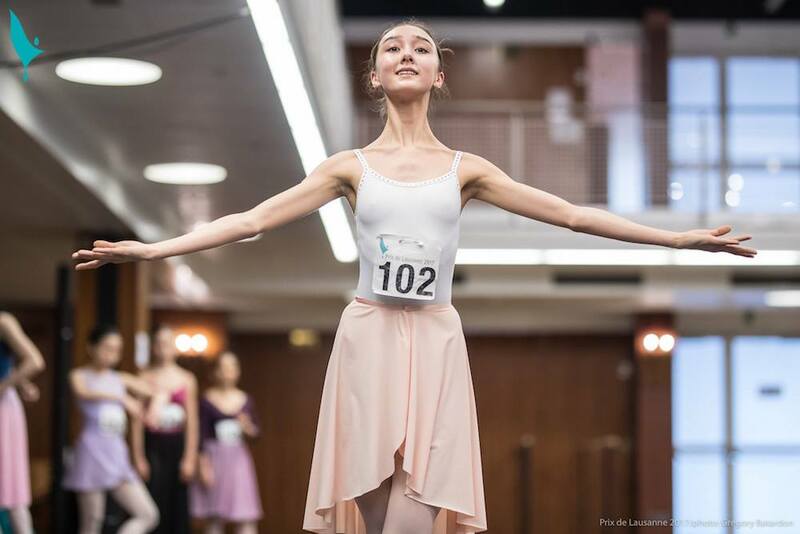 Among the 67 candidates who took part in the 2015 Prix de Lausanne’s Selections on Friday, February 6 in Switzerland, the jury has selected 20 finalists, nine girls and 11 boys. These young dancers will take part in the Finals on Saturday, February 7 at 3 p.m. in front of a live audience and streamed live on the Internet. Six will be awarded a one-year, all-expenses-paid scholarship at one of the Prix’s partner schools or companies, among the most prestigious in the world. The curtain has fallen on the 43rd edition of the Prix de Lausanne, an annual international ballet competition for young dancers taking place in Switzerland. Running February 2-7, this prestigious competition once again attracted young, promising dancers from all parts of the world. Twenty dancers were chosen to compete in the Finals on February 7. Amongst these finalists, six were awarded a scholarship with one of the 63 Prix de Lausanne partner schools or companies. On Friday, March 13, Germany’s Stuttgart Ballet will present the premiere of a new triple bill entitled “Stravinsky TODAY.” This program will present three new works, all inspired by the music of famed composer Igor Stravinsky. The works are choreographed by three of Europe’s most exciting dancemakers: Sidi Larbi Cherkaoui, Resident Choreographer Demis Volpi and Resident Choreographer Marco Goecke. As expected, Paris Opera Ballet’s new Artistic Director Benjamin Millepied is shaking up the iconic ballet organization in all kinds of exciting ways. By his side is the Opera’s new general director, Stéphane Lissner. 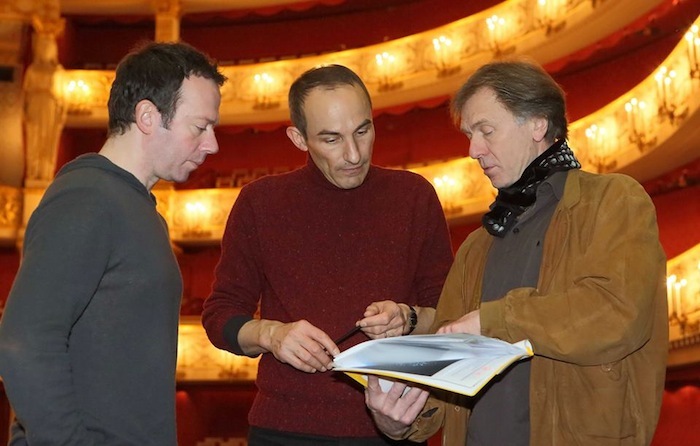 On Wednesday, the two gentlemen lifted the curtain on one of the ballet world’s most revered companies and revealed some thrilling and unforeseen plans. The 43rd edition of the Prix de Lausanne, an international competition for young dancers, will be held February 2-7 at the Théâtre de Beaulieu in Lausanne, Switzerland. For 2015, 67 candidates from 18 different countries have been selected and will attend competition week. 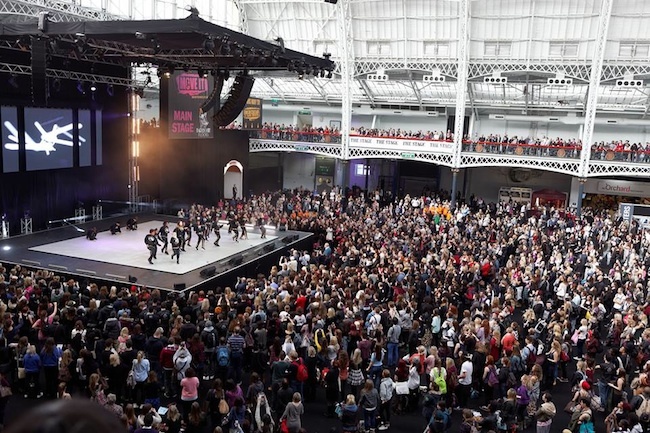 MOVE IT 2015 hits the U.K.
MOVE IT, the U.K.’s biggest annual dance event with more than 24,000 attendees, hits the stage in Olympia, London on February 13-15, 2015. Offering three full days of performances, classes and shopping, MOVE IT has something for everyone – from the basic dance fan to the teacher/studio owner to the aspiring professional dancer. 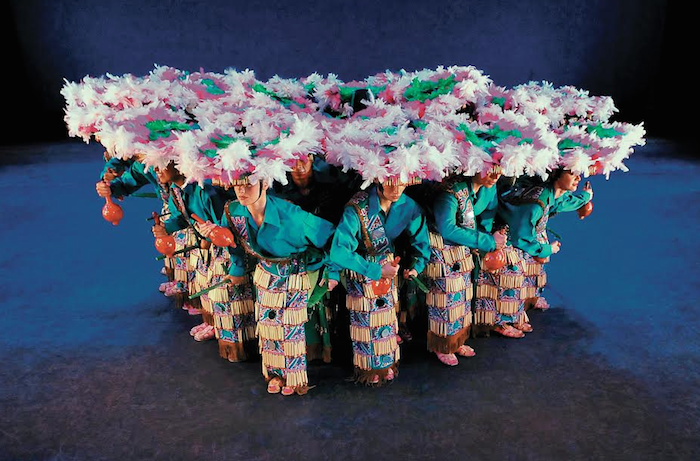 Following acclaimed performances in 2014, Cassa Pancho’s company of black and Asian classically trained dancers returns with a stunning new program in February. 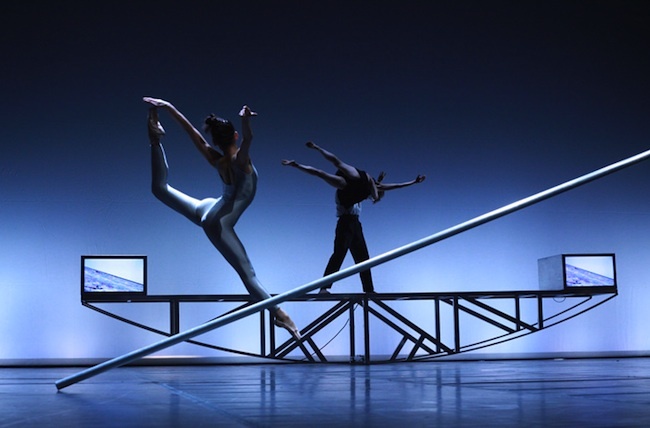 Ballet Black will present a triple bill on February 10-14 at Royal Opera House’s Linbury Studio Theatre, featuring exciting works choreographed by Kit Holder, Will Tuckett and Mark Bruce. Hubbard Street 2 embarks on another European tour in February, traveling throughout Germany, Holland and Switzerland. 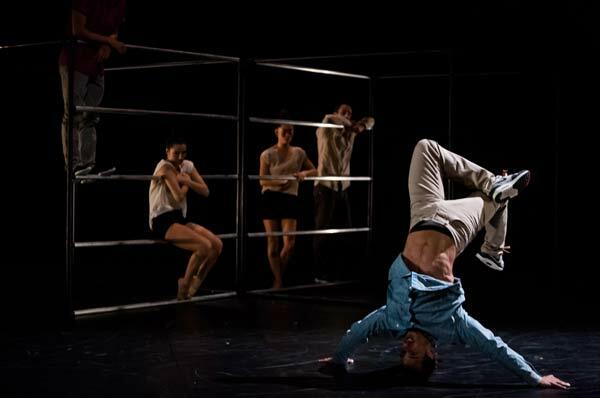 Directed by Terence Marling, Hubbard Street 2 is the second company of world-renowned Hubbard Street Dance Chicago. After 10 years, The Royal Danish Ballet makes its grand return to Sadler’s Wells on January 9 and 10 in the Peacock Theatre. The program presents the principals and soloists from this internationally renowned company in excerpts from works by August Bournonville, the acclaimed 19th-century Royal Danish Ballet choreographer and ballet master who created more than 50 works for the company. Swedish dance fans are invited to thaw out after the winter with the Royal Swedish Ballet’s completely new interpretation of Stravinsky’s classic work The Rite of Spring, as well as an exciting new work to music by Brahms. With the opening scheduled for Friday, February 20 at 7 p.m., the program will be presented at various other dates through March. Birmingham Royal Ballet in the United Kingdom will tour to the north and south in May 2015. 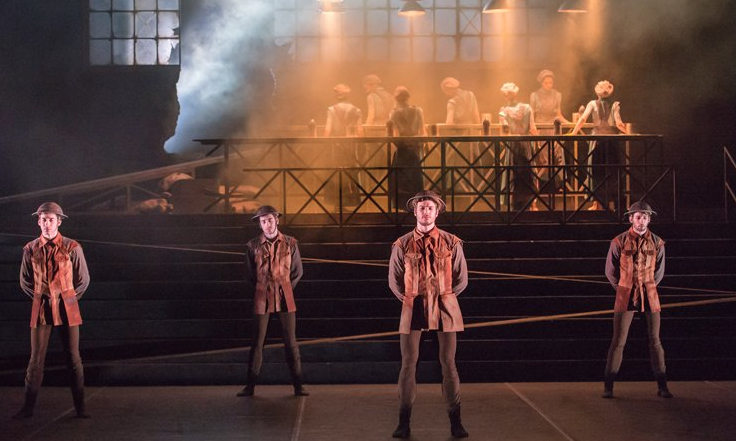 As part of its North Tour, the company will present a triple bill at the Grand Opera House in York, the Theatre Royal in Nottingham, Theatre Severn in Shrewsbury and in Durham Gala. For the South Tour, it will present another mixed bill at the Hall for Cornwall in Truro, The Lighthouse in Poole, the Everyman Theatre in Cheltenham and Wycombe Swan in High Wycombe. Alexander Whitley showcases two works in his company’s inaugural tour: The Measures Taken and The Grit in the Oyster. The company will land in London’s Laban Theatre as part of its tour on Tuesday, November 18 for a special evening performance. Auditions for The Forsythe Company! 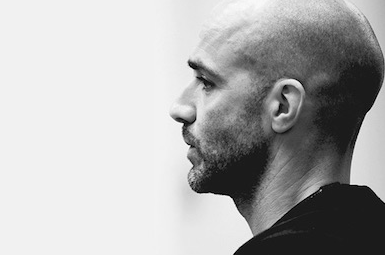 Jacopo Godani, the incoming artistic director of The Forsythe Company in Germany beginning the 2015-16 season, will be holding two private auditions for professional, experienced dancers in New York City and Frankfurt in November. 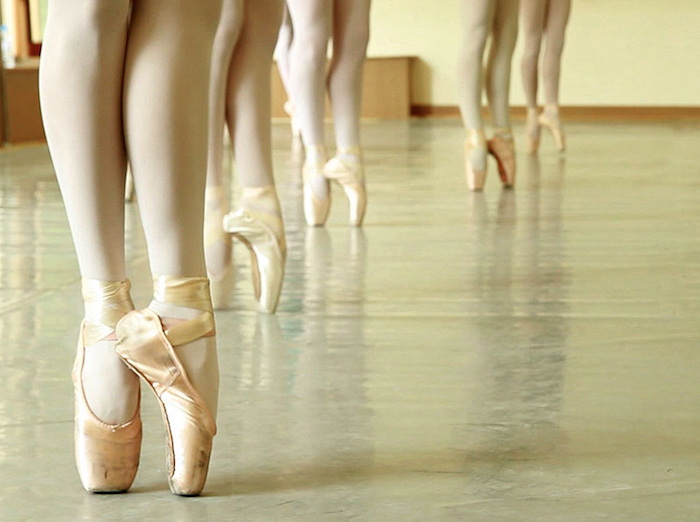 Godani is looking for exceptional artists with solid classical ballet technique and excellent coordination. Choreographer Eric Gauthier has been dreaming of a big dance festival for Stuttgart, Germany, for a long time. The capital of Baden-Wuerttemberg is a marvellous place for dance – but it has never had a major international festival. But now that is set to change! In summer 2015, COLOURS International Dance Festival will bring together more than a dozen companies of worldwide fame featuring a number of world, European and German premières. The Dutch National Ballet, the largest dance company in the Netherlands, will present Cinderella this December. 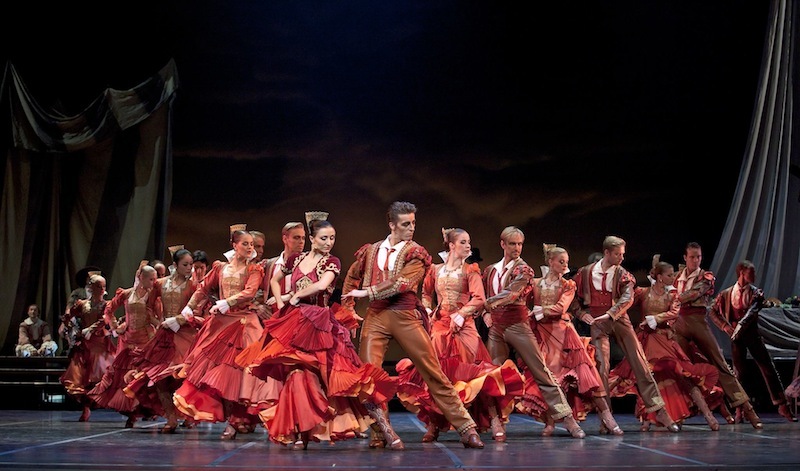 This family-friendly production was premiered in December 2012 by the company and earned choreographer Christopher Wheeldon the prestigious Benois de la Danse Prize, also known as the “Oscar of Dance.” It features costumes by fashion designer Julian Crouch, music by composer Sergej Prokofjev and fantastical stage props by puppeteer and designer Basil Twist. 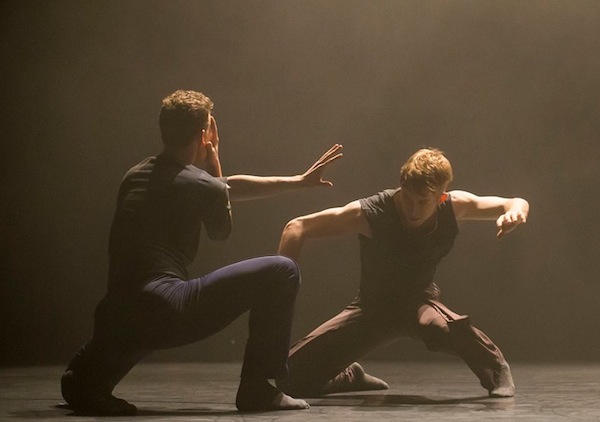 BalletBoyz, the celebrated British dance company created by former Royal Ballet dancers Michael Nunn and William Trevitt, will soon present a new full-length production entitled Young Men in London. Opening Sadler’s Wells 2015 programme, Young Men is choreographed by rising star Iván Pérez and explores the theme of war and the bonds that develop between the men consumed by it. Ardani Artists will present the U.K. premiere of Diana Vishneva: On the Edge at the London Coliseum in mid-April 2015. A star of the Mariinsky Ballet and American Ballet Theatre, the program celebrates Vishneva's extraordinary technique and artistic versatility. For the last several months, world-renowned and in-demand choreographer Alexei Ratmansky has lead a team of prominent dance scholars and artists to collaborate on a new production of Paquita that the Bavarian State Ballet (also known as Bayerisches Staatsballett) will premiere on December 13 at the National Theatre in Munich, Germany. Resolution! is The Place's annual festival of new works presented by a range of diverse emerging dance-artists in London. It has been a starting point for artists such as Russell Maliphant, Wayne McGregor and Hofesh Shechter. For every evening of the festival, there are three short pieces presented for audiences to see a snapshot of brand new work. For the 2015 festival, Resolution! will present 84 companies across 28 nights, from Thursday, January 8 to Saturday, February 21. Choreographer Frédéric Flamand’s 1992 work Titanic will be revived by France’s 28-member dance company Ballet National de Marseille for a set of performances in July 2015. Originally from Brussels, Flamand teamed up with architect Fabrizio Plessi for this work, which features music by Charles Ives, Alfred Schnittke, David Lang, Antonin Dvorak and Jerome Kern.